If the market agrees with my count we should see much higher prices this year. After the recent rally, which took the SPX from 1040 up to 1260 within just four months, I think a correction is overdue. 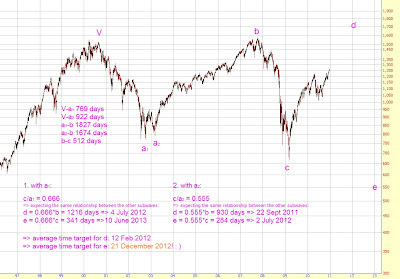 After wave (2) is completed there should be a big rally up to 1500 or so (wave (3)). 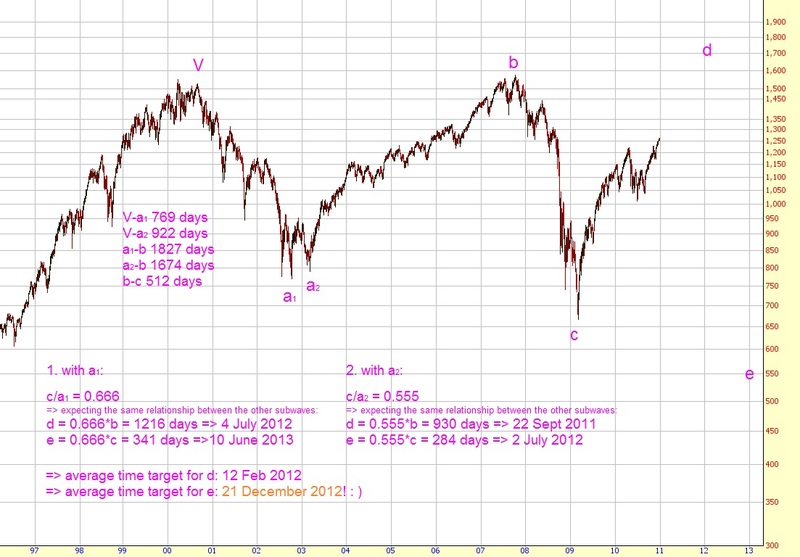 A fourth wave should retrace a part of wave (3) in fall 2011, followed by wave (5) to complete cycle wave d early 2012 around 1600. At 1565 wave [C] equals wave [A], I think if we get that high though, then we should make a new all time high. So, the target for d is in the high 1500's/low 1600's. This is obviously just one out of the zillions of long term counts out there. 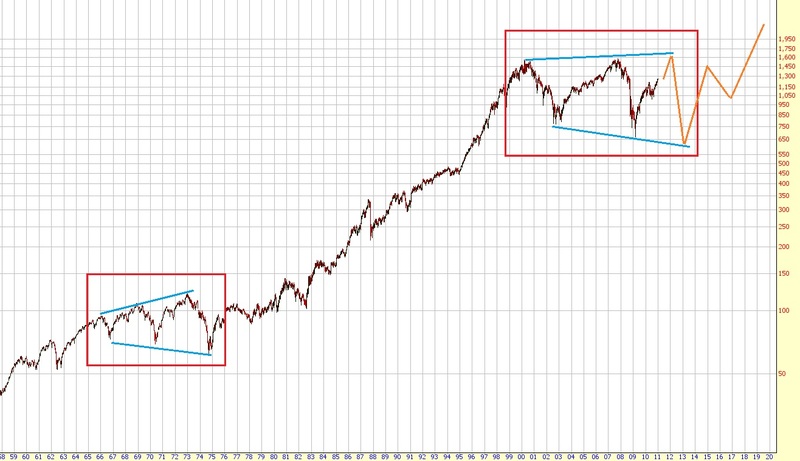 There are counts which expect the start of a new bear market in a few days and others who think a new bull market is underway (So my count is actually right in the middle of the two extremes, well, probably because I'm Swiss lol). I think all counts are possible and we just have to adapt as the year unfolds. As for my count, I'm very confident as long as the weekly MA 76 holds. Below it the next level is 1130 and if the market drops below it I think something else is underway. I wish you a succesful 2011! !